Dr. Barry H. Gump is the first holder of the Harvey R. Chaplin Eminent Scholar’s Chair in Beverage Management at Florida International University’s School of Hospitality and Tourism Management. In this position Dr. Gump is developing new classes and programs to expand the offerings of the Beverage Management curriculum. 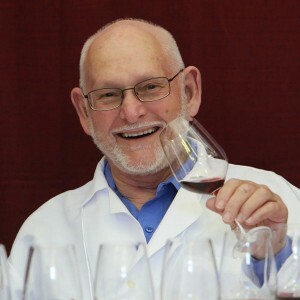 Dr. Gump is Emeritus Professor of Chemistry and Emeritus Adjunct Professor of Enology at California State University, Fresno, where he taught courses in chemistry, brewing, and wine analysis for almost 40 years. He has also instructed a “Wine Components” class and “Wine Analysis” classes for the wine education program housed at Santa Rosa Junior College (Santa Rosa, CA), and on-line wine chemistry/analysis classes for Grayson Community College (Dennison, TX), and Harrisburg Community College (Harrisburg, PA). He also gives workshops, seminars, and lectures to grape and wine industry groups. Dr. Gump serves as a co-Principle Investigator and Enology Curriculum Coordinator for the VESTA program (Viticulture & Enology Science & Technology Alliance — a consortium of national colleges and universities providing instruction in viticulture and enology) – the program is a NSF funded National Center of Excellence operated through Missouri State University. Dr. Gump has had a long association (over thirty years) with the wine industry, conducting research in analytical methodology applied to grapes, juices, and wines. He has led fifty-nine Master’ s Degree graduate research committees, and served on many more. Dr. Gump reviews technical manuscripts for a number of national, international, and trade publications. He has been a professional wine judge for many years at a number of major wine competitions.